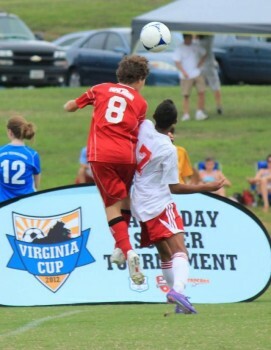 Nick, #8, a left back, was a guest player for the Richmond Kickers U15 elite team, which won the 2012 Virginia Cup tournament in September. For the first time since Nick was four years old, he doesn’t have a spring soccer season. He is a U15 player for a Richmond Kickers competitive youth travel team, and at his age and level, his teammates will be trying out for their public high school teams. Therefore, club soccer takes a break, with the understanding that players are getting their soccer in their community’s public schools. In 29 other states, Nick could also try out to play on a school team. But not in Virginia — because the Virginia High School League says kids who legally meet the state’s education requirements through home education are prohibited from participating in these publicly funded athletic programs. Last year, with this day looming on the horizon, our family was featured in a TIME magazine article which included a two-page photo of Nick– who has since gotten a much shorter haircut and much longer legs. I blogged about the details of that experience here, and between the article and the blog post, you can get the gist of the situation. Monday, members of the Virginia General Assembly’s House Education Committee reported a bill out that would allow school divisions to make these decisions locally. The bill also has wording to address unfounded concerns about homeschoolers’ potential participation. For example, kids would only be eligible to try out for a team at the school in their attendance zone (no “school shopping”), and dropouts couldn’t declare homeschool status just to be eligible for a team, since homeschoolers would only be eligible if they meet the state’s academic requirements for them for two full previous years. (I personally think this is too strict, since public school students only have to “take five, pass five” during the single previous semester, but I understand the politics here). To read how other concerns are addressed and why the bill deserves your support, go to the comprehensive information compiled by The Organization of Virginia Homeschoolers. The bill will move to the full House, and it will also be considered in the Senate, all within the next days and weeks. Last year, it was defeated by one vote in the Senate Health and Education committee. This summer, homeschoolers met with the Virginia High School League and other key organizations in an attempt to work out a non-legislative approach to the issue, but VHSL still wants to keep homeschoolers out. It’s a puzzle to me that anyone considers it a defensible position to narrow support for public school programs by excluding families who are highly involved in their communities and who want to take part. I mean, my family literally helped build the soccer facility in our southern Virginia town, as founding members of the board of directors of the area’s first soccer club. Oh yes, the high school plays on one of the fields our family helped build, because it doesn’t have a field of its own. 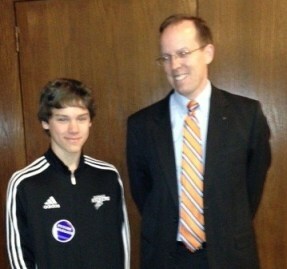 Nick joined other homeschoolers in meeting with Delegate Rob Bell at the Virginia General Assembly last week. Delegate Bell is a patron of the Homeschool Sports Access legislation and has worked closely with The Organization of Virginia Homeschoolers for its passage. Nick and I went to the General Assembly Thursday to advocate for passage of the bill, which has been supported by The Organization of Virginia Homeschoolers. Not only do the members of VaHomeschoolers support the legislation (which we know, because the membership is surveyed annually), but 2/3 of Virginia residents favor allowing homeschoolers to play for public school teams, according to the Commonwealth Education Poll, which published its results last week. Homeschoolers and schools in Virginia have worked together for many years, with over half of school divisions making a local decision to allow part-time enrollment in classes, for example. When caring educators and parents work together, they really can serve schools’ entire constituencies, thus building stronger communities and more support for public school and homeschooling–for education! I urge you to contact your representatives and ask them to vote in favor of the Homeschool Sports Access Bill (also sometimes known as the Tebow bill). Ask them to talk to members of the Senate Health and Education committee about voting in favor of the bill so the full Senate can consider this legislation. VaHomeschoolers explains what steps you can take in support of this legislation, including providing links to find your legislator. If this bill passes, and if your local school board decides it’s a good fit for your school division, your homeschooled neighbors (whose parents pay taxes) could then be offered the same opportunity as, say, an international exchange student, who already gets to try out and play for a publicly funded school team in Virginia. And by the way, no, there really is not a homeschool sports league or community league in our area that provides an alternative for competitive spring soccer at his level during the high school years. 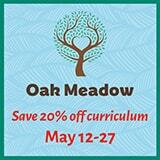 Homeschoolers, there will be a call for us to show our support for this legislation within the coming days. It will probably be early in the morning, but maybe it won’t be 10 degrees and snowing like it was when Nick and I drove to Richmond last week. Take your kids and show them the law-making process. (But ask someone about parking and one way streets around the General Assembly building, first). Stand up with homeschoolers — and 2/3 of Virginians — who favor allowing legally educated kids to try out for publicly funded sports teams, just as they do in the majority of other states in the country without issue. As for Nick, he will keep training on his own and, we hope, in some creative and effective ways various coaches are suggesting. He is focused and has good support. Some homeschooled kids wouldn’t have the ability to follow through with these ways to keep training even without a season, though. It sure would make more sense for homeschoolers to have the option to try out for their community’s team with their friends and teammates at the school just a few miles away. A popular speaker at homeschooling conferences, business groups, and parents’ groups, Jeanne Potts Faulconer has homeschooled her three sons in North Carolina, Mississippi, and Virginia. She is a former college faculty member, former editor and book reviewer for Home Education Magazine, a long-time editor for VaHomeschoolers Voice, and a recent news correspondent for WCVE, an NPR-member station. Jeanne teaches writing and literature for her youngest son’s homeschool co-op, and she is a student of how learning works – at home, in the music room, in small groups, in the college classroom, on the soccer field, and in the car to and from practice. Holding her Master of Arts degree in Communication, Jeanne conducts portfolio evaluations for Virginia homeschoolers for evidence of progress. To read more of Jeanne’s writing, inquire about a homeschool evaluation, or ask her to speak to your group, see her blog, At Each Turn. I don’t see any rational reason why this shouldn’t be allowed. Here in FL homeschooled students are allowed to participate in their local schools sports, & can participate in specialty courses at the high school such as culinary arts or drama. 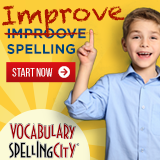 There has been no recorded negatives to this practice reported and actually serves as a wonderful opportunity for many homeschoolers.